Two membership cards in the name of Marlene Boersma, for 1950 and 1951. GGA was a Fenger High School association. 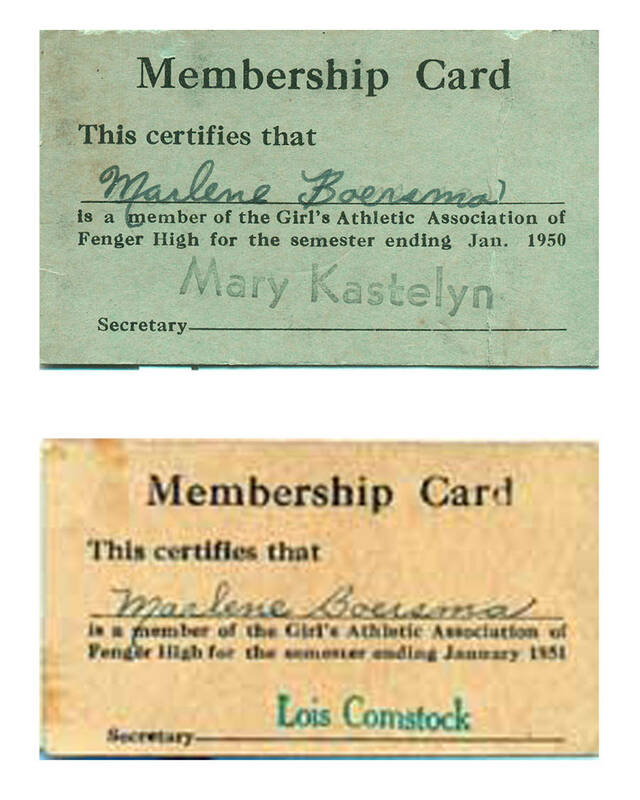 Description Two membership cards in the name of Marlene Boersma, for 1950 and 1951. GGA was a Fenger High School association.